Bristol Women’s Voice Wonderful Women Award’s were presented as part of our International Women’s Day celebrations on the 3rd of March. We celebrated over 50 women from across Bristol who had been nominated for their contribution to their communities, each week you can find out more about one of these Wonderful Women. Carly Wilkinson received a Wonderful Women Award for her work inspiring women to be their most authentic and empowered selves. 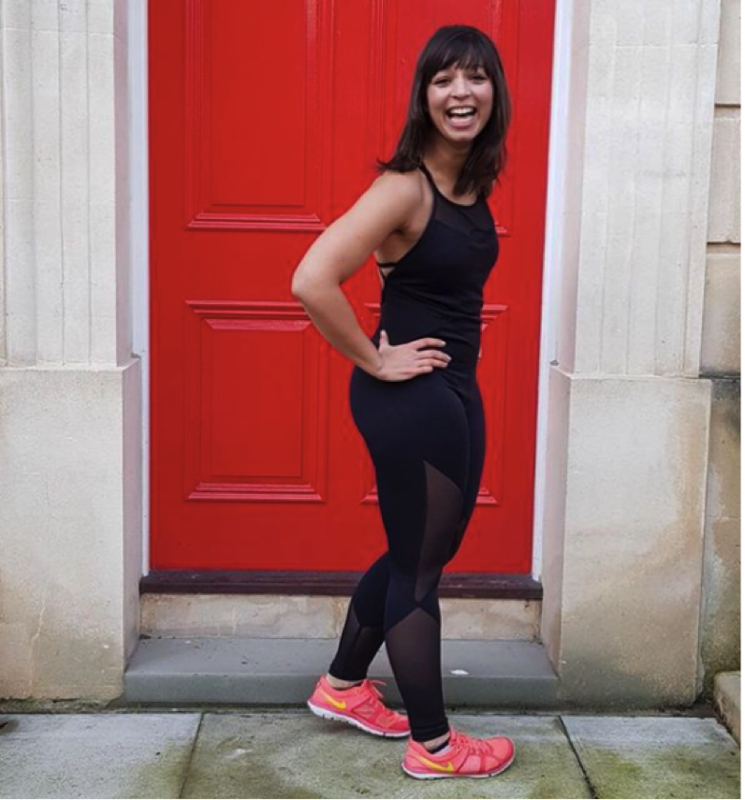 Carly is the co-founder of Bristol Female Empowerment Network and is a Body-positive fitness instructor. Last year she organised a Women’s March in the space of 72 hours, which was attended by 2,000 Bristol feminists. It’s such a cliché but I’d advise my younger self not to worry as much. Not to worry about my job or my relationship status or my living situation and certainly not to worry as much about what other people think about me. I spent so long trying to be what I thought everyone expected of me. When I realised that no one was putting pressure on me other than my damn self and even if there were expectations about who I should be, I didn’t actually care, I was able to discard years of anxiety and worry, and my mind was finally calm. I could just get to know myself, and be okay being me. I finally felt like my opinions mattered as much as the next person’s. I wish I’d realised this sooner. Unfortunately, I think I needed to go through all the angst to get to this realisation and experience the catharsis that came with it. Seeing women of diverse ethnicities taking positions of leadership inspires me. Particularly when they don’t display the characteristics of your typical alpha male in that role (I think the idea that to have those positions alongside the privileged, you have to act like them is something we must constantly challenge). Michelle Obama is an excellent example of this – I never considered her just as the wife of a powerful man. She’s a strong woman, doing things her way, and a leader in her own right. For this same reason, Councillor Asher Craig and MP Thangham Debbonaire both made strong impressions on me earlier this year when I was involved in conversations over the future of The Bearpit. Our children need to see diverse leaders. They need to know the world is changing, and not feel like they are challenging the status quo if they are black, or a woman or disabled, and decide they want to take positions of leadership in their future careers. 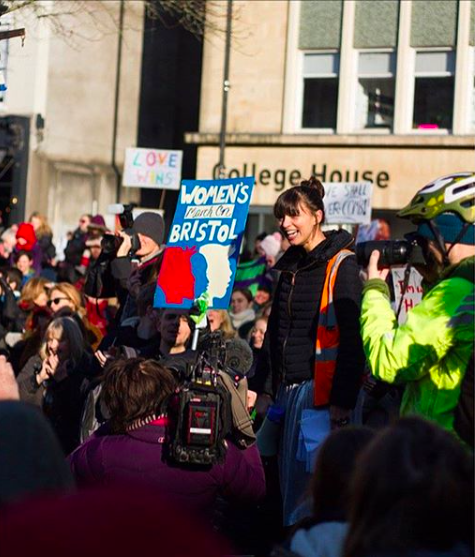 What do you want to see change for women in Bristol? It’s perhaps controversial to say it, but I’ve been struck by the racial segregation in the city. I’ve been here for about eighteen months and it seems like a hugely liberal place, but I have this nagging feeling in my belly that if you’re from certain ethnic backgrounds, there are places in the city you’d be more expected to frequent. I’ve mentioned my observations quietly to others and it seems like many notice it, but we don’t dare do more than whisper it. I don’t know why – are we scared to tarnish the liberal veneer of Bristol? I think, when it comes to the point that I’m noticing faces that look like mine in the street because I’m not used to seeing them, something’s not right. I’ve not been used to not giving this sort of thing much thinking time in my past life, because it’s not been as apparent. Here, it feels more apparent. I want Bristol to get to the stage where segregation isn’t something we think about, because it doesn’t exist. I don’t know how to achieve this, which is frustrating. Maybe, if you feel the same, being open and talking about it, is a first step towards a more integrated city? Bristol Women’s Voice are marking 100 years since the first women in the UK were given the vote with ‘Deeds not Words’ a year-long programme of events across the city. Find out about Deeds not Words events in Bristol here.